There are several National parks in England offering unspoilt natural terrain for walkers and nature lovers. Their character varies considerably depending on their location. 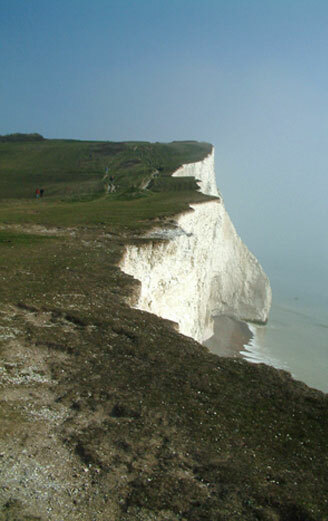 The South Downs National Park on the south coast of England with its towering white chalk cliffs is shown on the left. Walking coastal paths have become very popular for fantastic views whilst walking. Wide open spaces for walkers to roam in peace, moors, hills and waterfalls. New English National Parks are the New Forest National Park and the South Downs National Park.